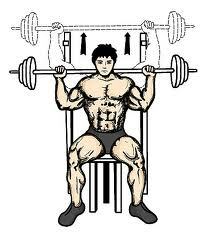 The Military Press, or Shoulder Press as it is also known, is a core shoulder exercise. The military press can be performed either seated or standing. Also, it can be performed with dumbbells or barbells–or even kettlebells. Nothing is better at developing overall upper body strength than the military press. Focus on doing the military press in front of you, as opposed to lifting behind your head. Lifting behind your head actually hurts your shoulders, because they don’t have as much flexibility to perform that motion. The rotator cuff, especially in people with shoulder hypertension, is prone to injury with the behind-the-head technique. Stand facing the kettlebells, dumbbells, or barbell with your feet shoulder width apart (or sit in a chair for seated military press). Pick up the weight and move it just above your collarbone. While keeping your back upright, slowly raise the bar up until you lock your elbows out. Inhale and lower the weight down to just above your collarbone. Exhale and lift back up to elbows locked out position. Repeat for the recommended amount of reps. If you have bad knees, try the seated version with dumbbells. Jason Momoa’s workout used shoulder presses in order to bulk up quick for roles in Conan the Barbarian and Game of Thrones. Kobe Bryant’s workout added the military press to his routine to increase shoulder strength and stamina for shooting and dribbling. Brad Pitt Fight Club Workout used the military shoulder press to bulk up his shoulders, which were his biggest problem area going into the movie. 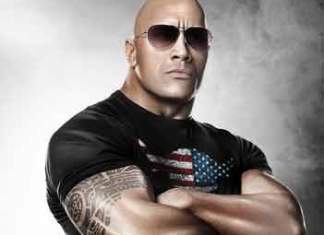 He also like the Arnold version of the military press, where you start with your palms facing inward and toward your body, and end with your palms outward and facing out in front of you. 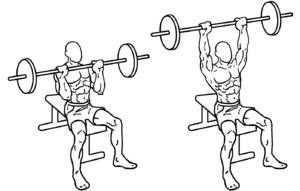 This works the front, rear, and lateral deltoids. Brad Pitt Workout for Troy used this shoulder exercise to train to become Achilles. Pink uses this shoulder workout to get in shape for her singing tours. Leonardo DiCaprio worked with Gregory Joujon-Roche using this workout for “Departed”. Michael C. Hall (Dexter) used this shoulder workout plan to get in shape for his role as Dexter. The Mark Wahlberg workout uses the Push Press version of the Military Press. Here, you can use your legs to help drive the weight. The Henry Cavill Superman workout uses this exercise in many of this workouts. Like the Mark Wahlberg workout, Henry Cavill uses his legs to help drive the weight over his head. Numerous weightlifters attest to how powerful this exercise is in building overall mass and strength. With any lift, remember that high reps with lower weight will tone your muscles. On the other hand, low reps with heavier weight will increase the overall mass of your muscles.This is definitely true of the Military press. The military press is at the core of most arm and shoulder workouts. This exercise also works the triceps. Locking your elbows requires stabilization of the triceps muscle. Further, the explosive movement upwards trains the triceps. If you’re looking for more exercises to work the shoulders, try the Shoulder Workout Plan: Raises and Flys. Know anyone who can benefit from the exercise? Wonderful write-up. I’m looking for a shoulder exercise that works the inner and outer deltoids, and this looks good.